When people buy a garage door, they do not often think of the implications of making the wrong choice. Garage security is not always considered as essential as home security which is a common misconception. Garage doors are ideal gateways for potential burglars and need to be secure. Here are some tips to improve your home security. Sometimes our choices may be governed by the cost of a product. However, the cheapest purchases can ultimately work out to be the most expensive. 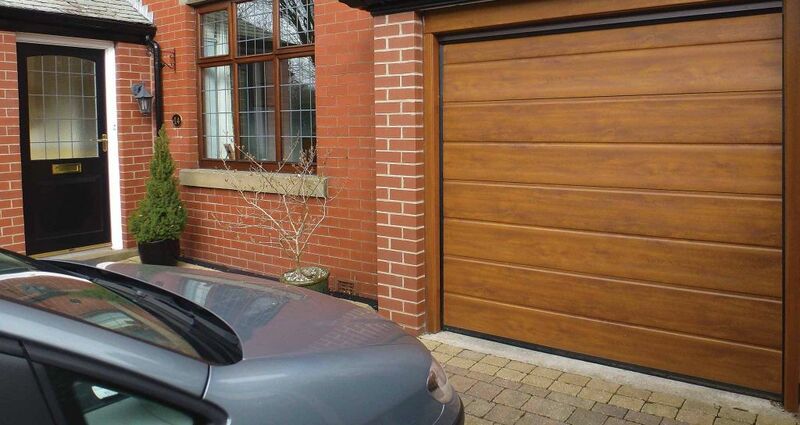 Inexpensive garage doors may be fitted in an inferior way which allows for easier unauthorised entry. They may also include substandard materials that are prone to rust and rot. The doors might initially appear robust and hard-wearing but will soon deteriorate and provide an obvious point of entry for criminals. Your choice of garage door says a lot about your general attentiveness and attitude towards the security of your home. If you have a well-maintained, robust door, it is an effective barrier against burglars. Often people that are seen to secure the entry points to their homes are viewed as people that would also safeguard their homes with other measures, including a security alarm, durable locks and other devices. If your garage door looks like it is inadequate, it will become an easy target for thieves. Fishing is a technique that burglars use by fashioning wire and inserting it into the catch of the garage door, which releases a mechanism to open the door. This technique is much easier to carry out when encountering doors that have a gap at the top. The wire can be easily inserted and in some cases the location of the opening mechanism is revealed. This situation can be prevented by garage doors that are accurately measured to fit the space to perfection. Home owners can safeguard themselves further by investing in a door that makes “fishing” impossible. These garage doors include openers that have a release mechanism which will only work if the cord is pulled straight down as opposed to at an angle. These garage doors prove a greater challenge to burglars. Some home owners are lured into a false sense of security by unplugging the opener of the garage door, however this does not prevent fishing. It is much more effective to secure the actual door itself by locking the latch. If your garage door does not have a lockable latch you can actually correct this with some straight-forward DIY. Locate the track situated just above one of the rollers and drill a hole in it. You can then insert a robust padlock of the appropriate size. Just remember to keep the key in a secure and memorable place. You may keep your remote in your car for convenience. After all, it does seem obvious to keep it in the location that you will need it the most and where you are most likely to remember its location. However, this is an obvious location of which criminals are aware. If a criminal notes that you have an automated garage door, they will suspect that your car houses its remote. You may think that storing it in the car would only be a problem if your car is parked in the drive. This is an incorrect assumption because the glove box often holds clues to where the car owner resides. It is much safer for you to keep the remote on a keyring with other valuable objects. You will ensure it is safe and it will always be on your person. You might like the appearance of a specific garage door or the finish of another, but do those garage doors suit your requirements? It is vital to select a garage door that will suit your personal needs. For example, a single panel door may not be a great option if you are arthritic and it is a challenge to raise your arms above a certain height. An unnecessary struggle may cause unintentional damage to the garage door long term making it an easier target for burglaries. It is important to foresee any health problems which will help you to choose the best garage door for long-term use. This may seem obvious but it is surprising how many people close their garage door without locking it. This may fool some people into thinking that the door is locked. However it is always better to avoid this short-cut and lock the garage door securely. This is particularly crucial if your garage is attached to your house and contains an entry door. If you are prone to forgetfulness, a garage door sensor is a useful gadget with a monitor placed in a prime location. Another useful piece of technology is an automatic door closer which takes less than an hour to install. This will provide you with peace of mind knowing that your garage door will stay closed even when you forget.